This Ant 3D Puzzle is recommended for children of 5 years and older. Instructions for assembly can be found in the download section under "more info" if required. 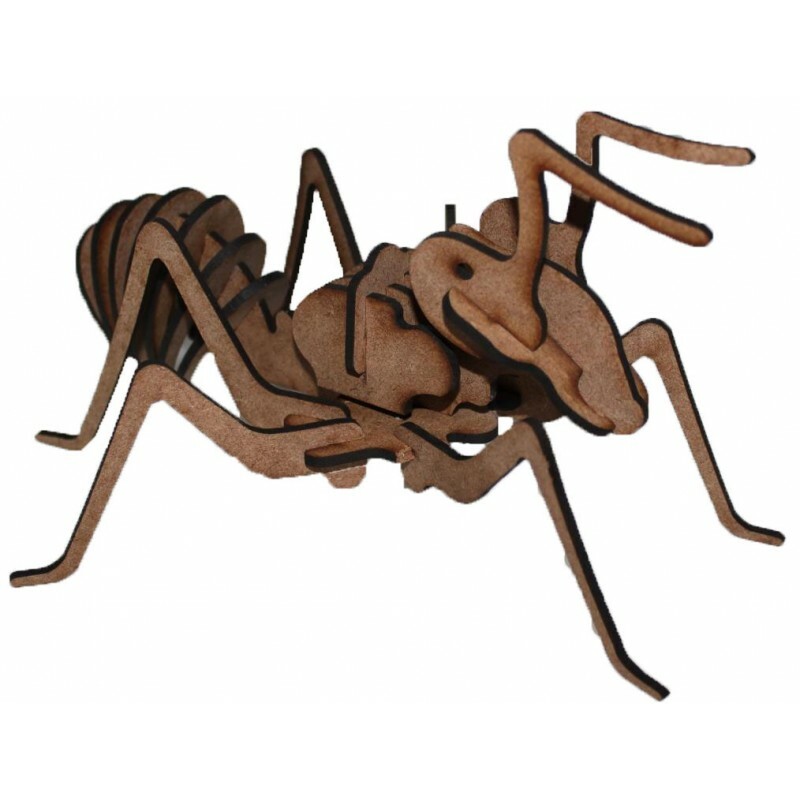 Ants are social insects of the family Formicidae and, along with the related wasps and bees, belong to the order Hymenoptera. Ants evolved from wasp-like ancestors in the mid-Cretaceous period between 110 and 130 million years ago and diversified after the rise of flowering plants. More than 12,500 out of an estimated total of 22,000 species have been classified.They are easily identified by their elbowed antennae and a distinctive node-like structure that forms a slender waist. Ants have colonised almost every landmass on Earth. The only places lacking indigenous ants are Antarctica and a few remote or inhospitable islands. Ants thrive in most ecosystems and may form 15–25% of the terrestrial animal biomass.Their success in so many environments has been attributed to their social organisation and their ability to modify habitats, tap resources, and defend themselves. Their long co-evolution with other species has led to mimetic, commensal, parasitic, and mutualistic relationships.